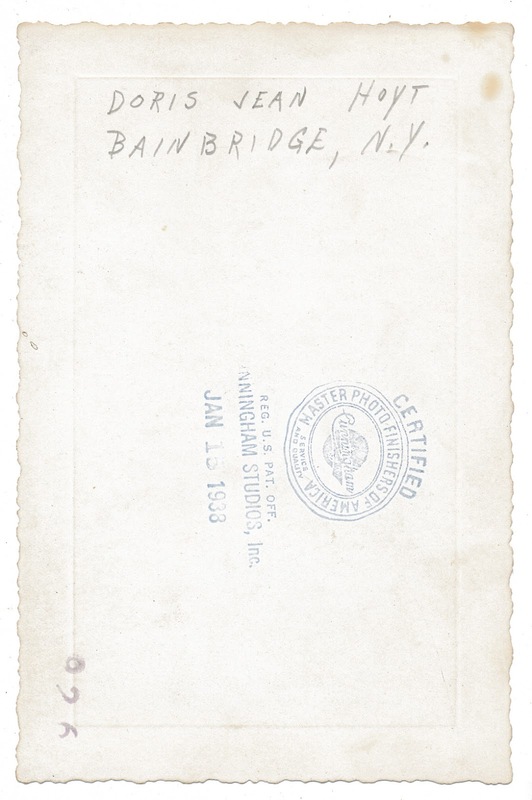 The reverse side is dated January 15, 1938. Written in pencil is "Doris Jean Hoyt - Bainbridge NY." Found in "The New American Cookbook" edited by Lily Haxworth Wallace. Published by Books, Inc., 1941. Bainbridge is just down the highway from me, and I've already started searching around the internet for clues about Doris. 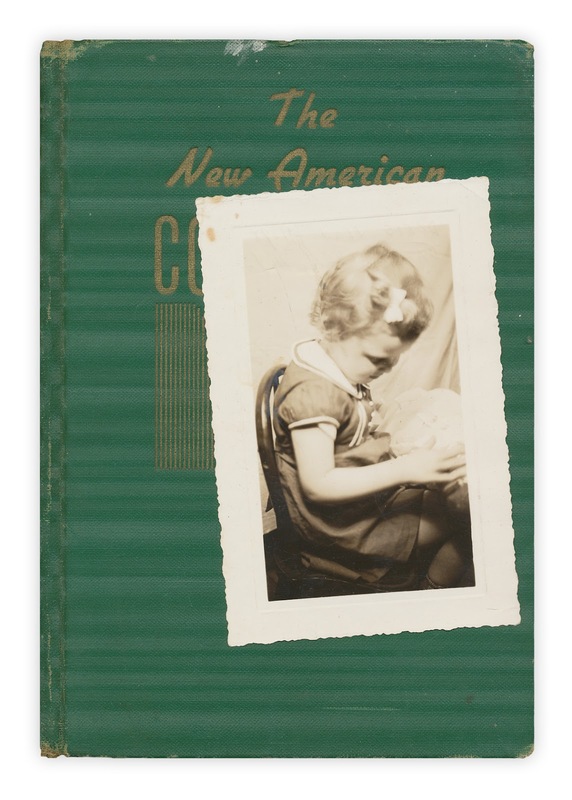 I'm guessing she is 3-6 years old in the photo, so she was likely born around 1932-5 or so. I hope to find Doris or a member of her family so I can return the photo. I will keep you updated - if you have any leads, let me know. 1. Looks like Doris was married in 1957 to Anthony H. Salerno. Doris' parents were Mr. and Mrs. Ernest Hoyt of Bainbridge. 2. It appears Doris was a little older in that photo, it's looking like she was born around 1926 or so. 3. Doris and Anthony now live in New Jersey (I'm fairly sure). I have a phone number, will give it a go. This is pretty cool. Keep the updates coming! My mother collects coookery books (as in over a thousand - she COLLECTS!) Last year she picked up an old book in a charity shop and inside was a letter addressed to Mrs Smellie. As I am also Mrs Smellie she bought the book and brought it up to show us. The letter was to my mother in law from a friend to say thank you for dinner and including a recipe as requested. The letter was dated 1957. My mother lives in London, I live in Durham and my MIL lived in Glasgow. Some well travelled book! And as far as the imprinted date on the back, it is most likely the roll of film was in the camera for a while and not developed till much later. Perphas they used the camera sparingly, perhaps they really didn't have enough money to get it developed, or perhaps it was forgotten. I have baby photos with dates on the back that clearly don't coincide with my age - my mother couldn't develop the film because they were on base housing and limited funds. I hope you find the right Doris,. Please keep us updated. That is so wonderful! I look forward to reading your update! I love that you're trying to find Doris or her family. I suppose there are more of us than I think there are.